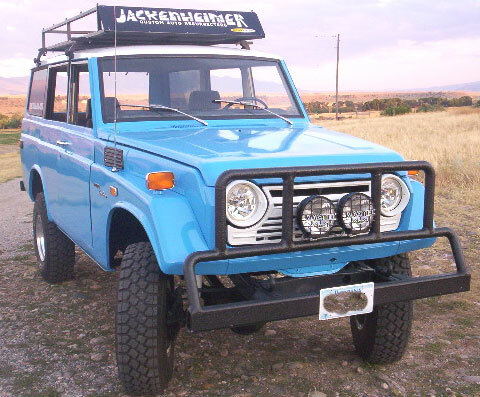 This blue and white 1973 Toyota FJ-55 Landcruiser 4x4 4 door station wagon is a very nice running and driving vehicle ready to be used and enjoyed. 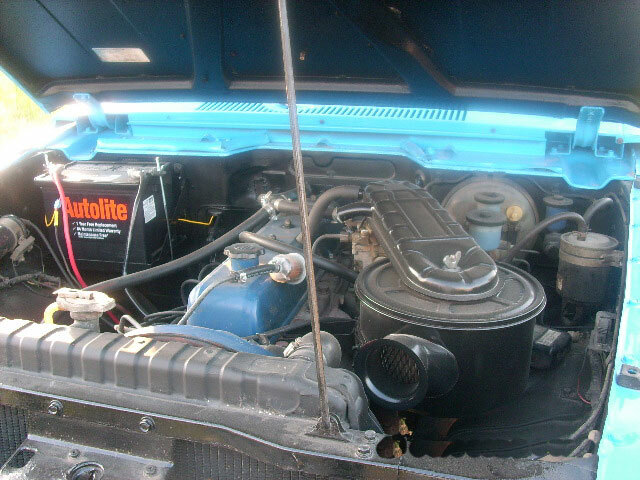 The Land Cruiser has 126,00 original miles on a older rebuilt stock six cylinder 3.8 liter OHV motor. The Cruiser runs and drives great. There is a new front bumper. The bumper and roof rack have been coated with bed liner. 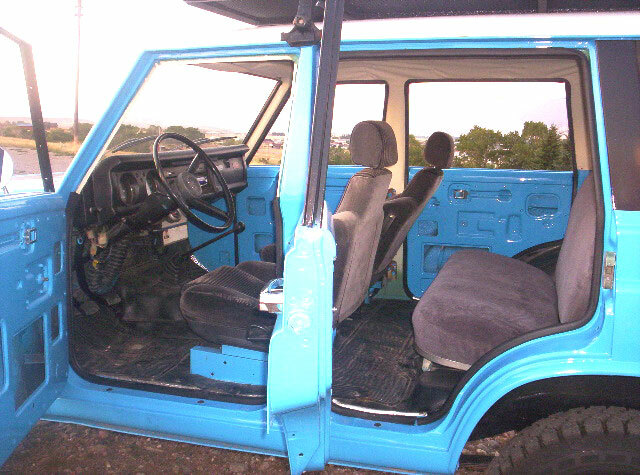 The custom color blue with white top paint is new. The blue and black interior is nice with front bucket seats. The rear seat has been upholstered, with new carpeting in the back as well. The door hinges have been rebuilt and all the door weather stripping has been replaced. The doors fit tight. The car has a new stereo with rear door panel speakers. The Cruiser has a spring-over lift, Boyds wheels and new 33x9.59R15 tires. The brakes have been cleaned and serviced. The car the original 4 speed transmission and drive train. The fender wells and hood underside have been undercoated. 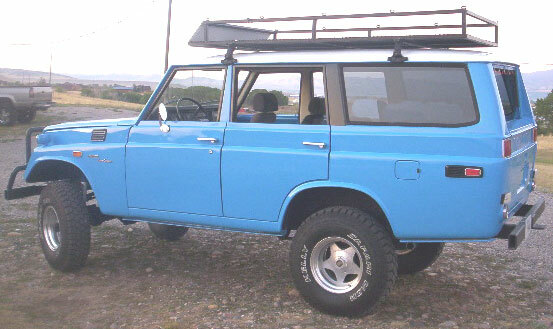 Don't miss this chance to own and drive a very nice 73 Toyota Land Cruiser at a price well below market value. Please call (406) 318-0270 for details.